When to plant: Mid-spring, about two to three weeks before the last frost date in your area until mid-summer. Direct-seed (they don't transplant successfully) into soil that you have loosened to a depth of about 10 inches. Dig out any big rocks, which can impede their growth. Use your trowel to make a straight, shallow furrow, and keep rows about six inches apart. Sprinkle seeds along the row about ½ inch apart, cover with ½ inch of soil and pat down gently. Don't press down hard and compact the soil. Water well with the shower setting on your hose, not a full blast of water. Keep the soil moist until germination, which can take two to three weeks. Mulch with straw to preserve moisture. Once the carrots have sprouted and grown to about four to six inches tall, thin out the rows so you have seedlings about two inches apart. They need space to grow without interfering with each other! Pull weeds as they appear to eliminate competition. Water deeply once or twice a week if there's no rain. This is one crop that doesn't need fertilized, as too much nitrogen can create weirdly-shaped or hairy carrots (the carrots will be edible, just not pretty). 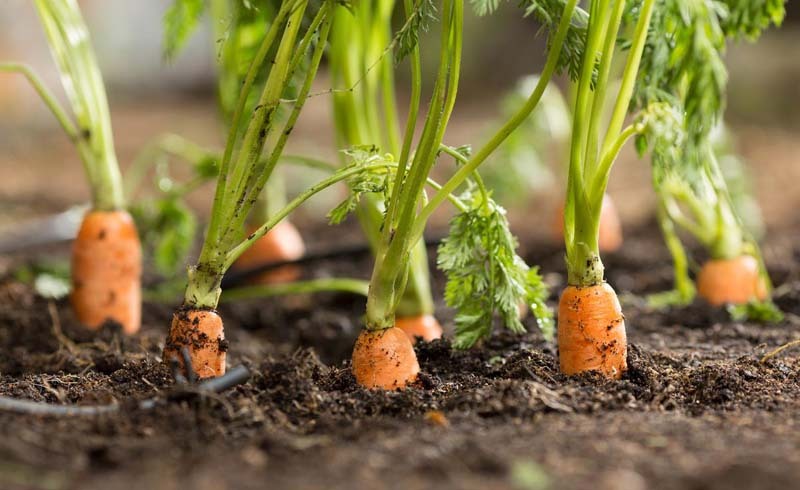 If a carrot starts to push out of the ground, mound soil or straw up over it to prevent the “shoulders” from becoming green and bitter. You won't grow another carrot, but you will sprout some greens. These are edible though bitter, but if you're really thrifty, save them from your regular carrot harvest and sauté with garlic and olive oil. How long does it take to grow carrots? Most carrots take 60 to 75 days to mature, depending on the variety. Read the seed packet label to get a feel for when yours will be ready. Can you grow carrots in containers? Yes, but choose a large container that's at least 10 inches deep. Use half compost and half potting soil. The challenge is to keep containers, which dry out quickly, moist while the seeds are germinating and to water regularly throughout the season. How can you tell when carrots are ready to harvest? Keep your seed packet so you know when to start checking. Scrape back the soil around the carrot; if it's at least ½ inch across, you can pick. If it's still a "baby," you can eat it but then wait another week or so to try harvesting again. Use a garden fork to loosen soil so that you can pull up the entire plant and not just yank off the greens. 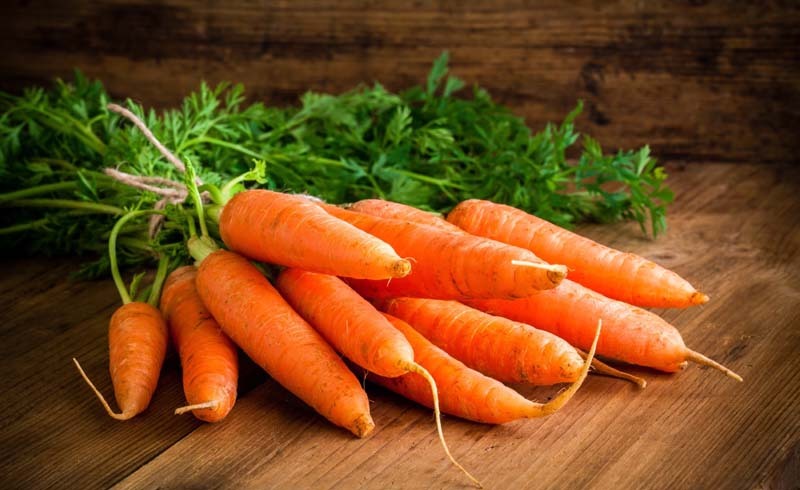 "You can sow carrots in succession plantings about once a month from early spring to midsummer to enjoy them for a long season," says Niki Jabbour, author of Veggie Garden Remix and The Year-Round Vegetable Gardener. "Cold makes them sweeter, so pick some when the starches in the roots turn to sugar. Some may last through winter, and you can harvest as needed."